Finally take a real vacation! Relax knowing your practice is in good hands. Click and find out if our relief service is right for you. We can use any and all veterinarians. you get some needed time off and generate income. 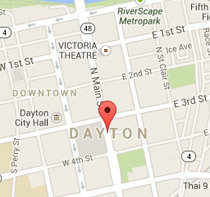 Servicing the Ohio region for over 25 years, we have a proven track record of satisfied clients. Get some peace of mind and become one of them today! Is your practice located in Ohio? We’ve got you covered! Click here to learn more. Let us know more about your current needs and we’d love to discuss how we can help. Animal Emergency and Critical Care Center of Toledo, Inc.
Are you bored with your present position? Would you like to set your own work schedule? Ready to be your own boss? Would you like to make more money?Supplement your current income!In Between Jobs? Wanted: Relief Veterinarians in Ohio. Shoot us an email, give us a call, use our contact form. "Enjoy peace of mind while you are away."